Kentucky freshman track and field phenom Sydney McLaughlin is a finalist for the most prestigious honor in the sport. 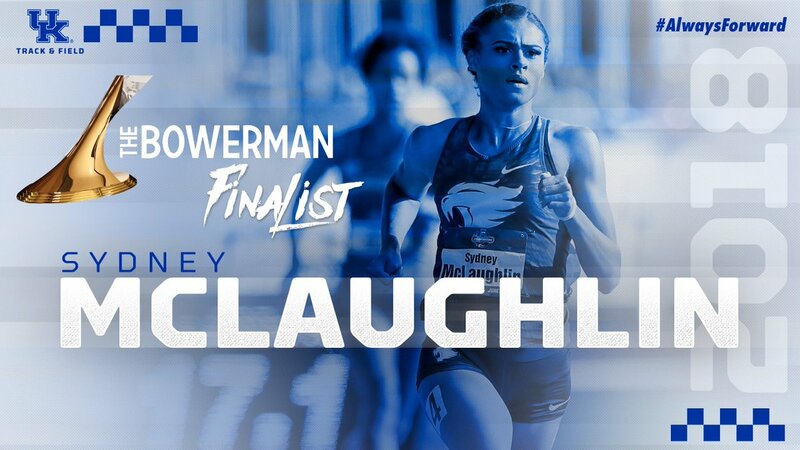 McLaughlin is one of three finalists for The Bowerman, an award given to the most outstanding collegiate track athlete in the nation each season. Sydney McLaughlin was a Tour de Force, posting seasonal top-4 marks in each of the 6? individual events she contested. That's why McLaughlin is a finalist for #TheBowerman18. Arizona State’s Maggie Ewen and Georgia’s Keturah Orji join McLaughlin as finalists chosen by The Bowerman Advisory Board, with McLaughlin being the first female freshman finalist in the ten-year history of The Bowerman. McLaughlin won gold earlier this month at the NCAA Championships in the 400m hurdles and broke the collegiate record by nearly a second running 52.75 seconds to take home the SEC championship title back in May. She also recorded the 13th-fastest 400m hurdles of all time, and her time of 52.75 makes her just 0.41 seconds away from becoming the fastest woman hurdler in the world. The winner will be announced on December 20 at the annual USTFCCCA Convention in San Antonio. Winner is announced in December??? The award isn’t obscure enough that they have to present it six months from now?? ?